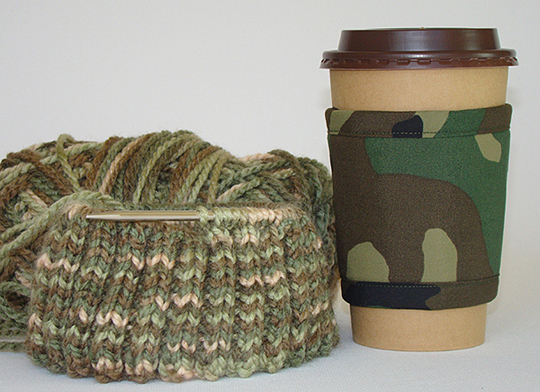 You have knitted a beautiful hat with camouflage yarn so why not add a camouflage cup wrap to the package? Hunters, soldiers, and teens love their hot coffee! Do you have a knitter on your shopping gift list? Knitters will never admit to having too many skeins of yarn and needles!